Update: This is actually a bad idea. I ended up using Netgear’s stock heatsink with Fujipoly XR-m thermal pads. 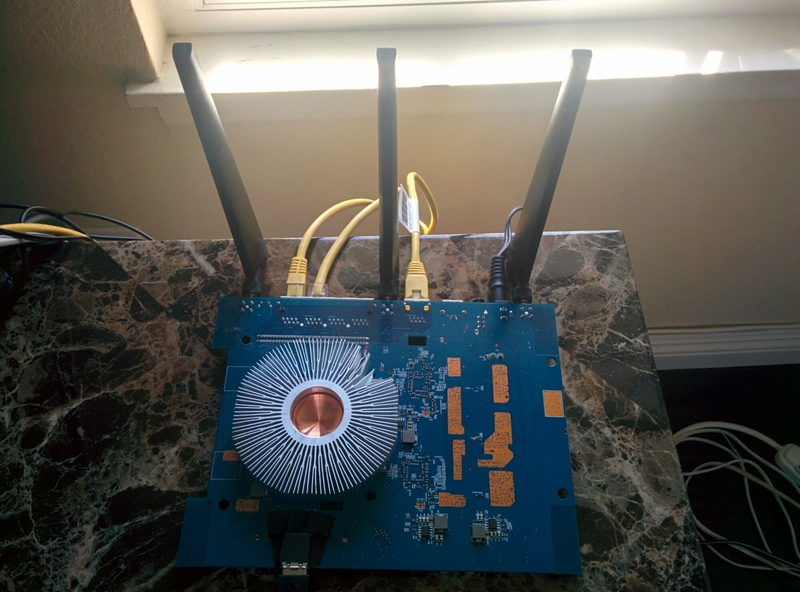 It runs the coolest (below 60℃) and retains the router’s original aesthetics.